The real estate closing can be confusing, but mostly it can be boring. The attorneys do all the work, and the buyer has a lot more documents to sign and figure out than you do. But after all the work you did getting the home on the market and living through the marketing process, you deserve a bit of a break. The basic dynamic of a closing is simple and involves three parts: (1) the buyer completing paperwork to get financing from a lender, (2) you transferring ownership of the property to the buyer, and (3) the lender giving you a check. What happens at the closing is simply the execution of various forms that give final confirmation to the agreements made in the contract of sale between you and the seller, and the mortgage commitment between the buyer and the lender. •The closer. The closer is usually employed or contracted by the title company issuing title insurance for the buyer, and will actually run the closing as an intermediary between the seller’s and buyer’s attorneys. •The bank attorney. The bank attorney represents the lender in the transaction, and is there to make sure the loan documents are executed correctly. 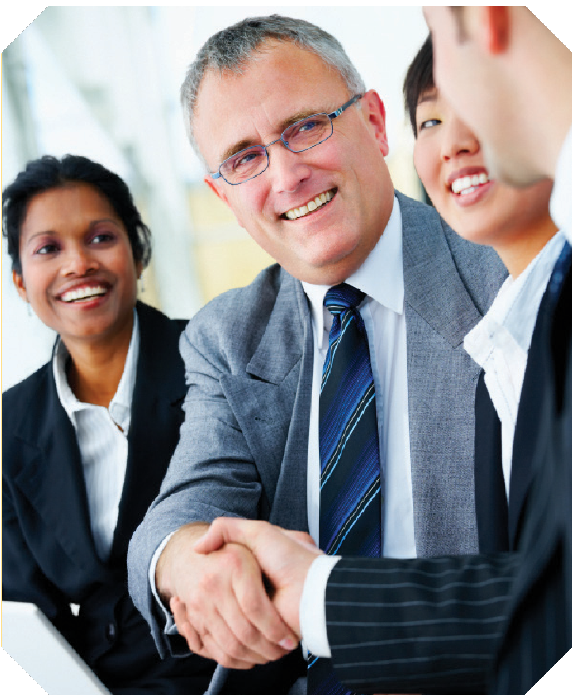 The buyer’s attorney sometimes is authorized to double as the bank attorney. Of course, the closing might involve some other support personnel, chiefly paralegals and other assistants. And the real estate agents might be there to show of support and to keep you company, even though they don’t have any formal role in the closing itself. •Truth in Lending Statement, which is federally required to disclose the actual financial terms of the loan. •Itemization of Amount Financed, which tallies up the actual cost of the financing. 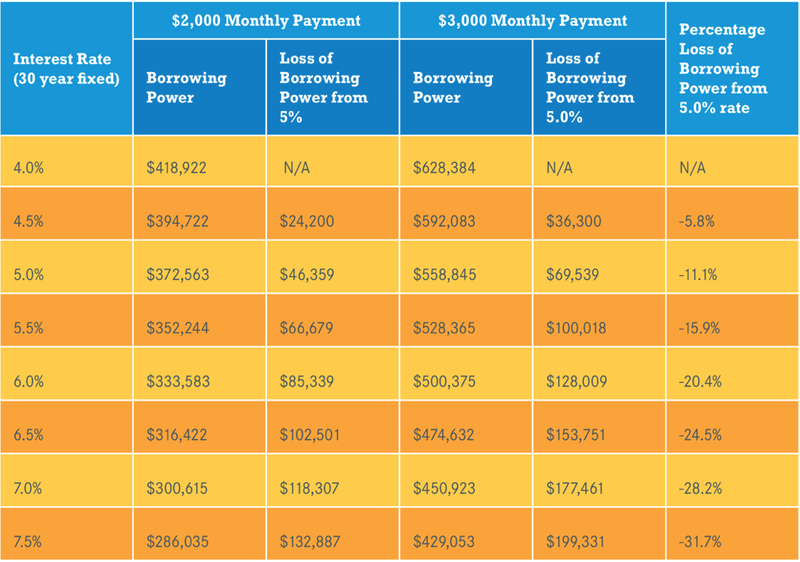 •The Monthly Payment Letter, which breaks down monthly payments into principal, interest, taxes, and insurance. •The Note, which is the loan agreement between the borrower and lender. •The Mortgage, which is the lien put on the home by the lender to provide collateral to the Note. Once all that is completed, the buyer is in a position to purchase the property from you. For most of this process, you won’t have much to do and will be making small talk with everyone at the table, while the buyer gulps furiously and contemplates how much he will have to pay in interest over the full 30 years of his loan. •The Settlement Statement (HUD-1), which contains all the settlement charges associated with the transaction. •The Deed, which is the actual document that transfers ownership from you to the buyer. 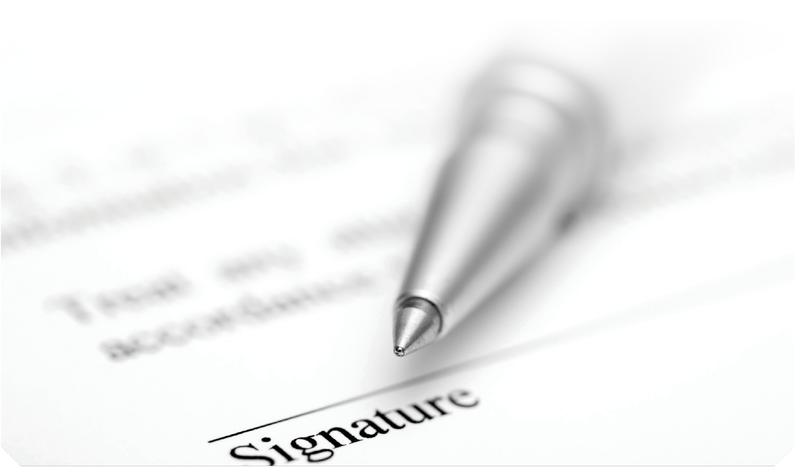 At some point in the process, you’ll be signing that document, which signs away your ownership rights. •Proration Agreements, which are simply side-agreements to the contract that prorate the housing costs (taxes, HOA fees, utilities) according to the date of the closing. For example , if you paid the property tax bill for the year three months ago, the buyer will be reimbursing you for 75% of that bill, since you lived in the home for only 25% of the year. The attorneys will be hunched over calculators for much of this process while they use standard formulas to figure out who owes what to whom. •Receipts. You might have to sign tax and utility receipts indicating your awareness that certain costs have to be paid by one side or the other. •Name Affidavit. At some point, the attorneys will ask you to provide identification proving that you are who you say you are, and ask you to sign a document attesting to your identity. That’s to make sure that you are the person legally allowed to transfer title. •Closing Statement. The final document of the closing, listing all the documents that executed and included as part of the closing. by the attorneys before the closing) for offsets like the tax and utility bills. But once you sign over the deed, and accept the check, you’re at the end of the home selling process. And you deserve some congratulations. For most of us, moving is an unusual experience that can be stressful and difficult. It doesn’t need to be that way. Planning ahead, getting solid estimates, and engaging with your movers can give you a feeling of control over your move and provide you with a much better experience. For most people, moving is like getting your car repaired. You don’t do it that often, you hate having to do it, you don’t understand it very well, and you worry that you’re going to get overcharged. We all fear the evil stereotype: movers who break things, lose things, or give deliberately low estimates before raising the price once our belongings are all on the truck. Those really are just stereotypes, and your experience does not have to be like that. While predatory movers exist, most reputable companies do a terrific job helping customers move massive amounts of heavy and precious things across the region or the country, and they do it for a reasonable price. Your agent has experience recommending movers, so trust in a referral to someone who has a sound track record. Don’t wait until the last minute to start hiring a mover, or you’ll end up not being able to get scheduled in time, you might have to pay more, and you’ll be doing everything in a rush. You can start planning your move as soon as you are in contract, or at the very latest as soon as your buyer gets locked into the contract by waiving any contingencies. That’s a good point to start examining what kind of move you want. Let the movers do the packing. You basically have two options about the type of move you want. In the standard option, you need to pack all the small items into boxes, seal them up, label them, and then have them ready for the movers. You don’t need to box big items, or carry the big items anywhere, but you need to pack up things like clothes, books, dishes, cookware, silverware, files, knick-knacks, things like that. That can be an onerous job. The other option is to pay extra for the movers to do all that for you. People who have experienced that full service option will never go back to packing themselves, because it is a glorious feeling to watch the movers descend upon your home and quickly pack, seal, and label all your things. It’s an easier way to move, but also a better one, because the movers are much, much better at safely and quickly packing your things than you are. Trust us, it’s worth the money. For those people who choose to pack for themselves, more and more find that a portable storage locker that can be placed in on-site helps them to pack at a more leisurely pace. These large portable storage containers can be at your home for a number of weeks and allow you to pack while you have time. They are later picked up and moved to your new location on the day of your move. Interview up to three reputable movers. One of the reasons to get started early is so that you have time to interview up to three reputable movers to get estimates. Let the movers examine your things, get a full sense of the scale of the move, and give you an estimate. You can learn a lot about the movers just from the way they interact with you, and get a chance to choose a mover based on your gut feeling on who you would like the most. That said, if you get a referral from your agent for one mover, and you like that mover, you shouldn ‘t feel the need to go inter view two more just to feel like you’ve done your due diligence. Get a physical survey as part of your estimate. The mover’s estimation process should include a physical survey of all the things that you need to move, rather than simply an over-the-phone or internet questionnaire. Professional movers have a good eye for the requirements of a move, and most of us do not. They will pick up on things that you won’t. In our experience, many problems between movers and customers stem from a customer’s unreasonably low estimation of the amount of work that needs to be done, leading to an inaccurate estimate. Never hire movers that refuse to do an in­ house survey and instead assure you that they can give an accurate estimate over the phone or internet. Do not pay a large deposit. Very few reputable movers will charge a large deposit on a routine move. They might charge a good faith down payment to reserve their time, but nothing too substantial. Be wary of movers who want to charge you a large up-front payment or, even worse, charge you for the move before they have actually delivered your goods to your new location. 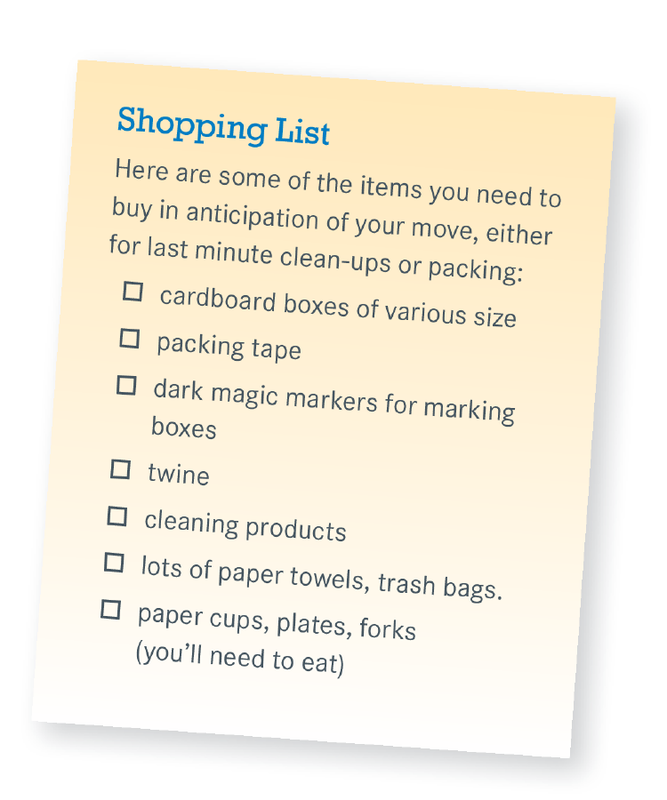 Before you move, get rid of stuff you’re not going to want in the new home. Don’t pay to move things that you’re never going to need or use again. Moving is a great opportunity to pare down your life, eliminating items that have been stored for years in the garage, attic, or more recently in a storage space you leased when you did your de­ cluttering as part of the detailing of your home. Go over those items carefully. A lot of times, you boxed them up in your last move years ago “just in case” you needed them. The rule of thumb is that if they have spent more than four or five years boxed up without being needed, you’re not going to need them in your new place, either. So donate them, hold a garage sale, or throw them away. On your moving day, be engaged with the movers. Moving day can be difficult and stressful, but you will have a better experience if you fully engage with the movers and stay on top of everything. Be home when the movers arrive with everything you need to do already done, so you can focus on discussing delivery arrangements. When the moving out is complete, and you are ready for transport, make sure the movers have a phone number to reach you, and that you have their number in case you want to contact them. Pack your personal items separately and keep them segregated. Even with the best movers, and the best intentions, delays can happen. That’s why you need to make sure that you separately pack your personal items: changes of clothes, medications , toiletries, etc. The easy way to do this is just to imagine that you’re going on a three-day vacation or business trip, and pack a suitcase with everything you’ll need in those three days just in case the movers have difficulty getting to your new home. Even if the move can be completed in one day, and you’re not worried about that, having your “three­-day vacation” suitcase separately packed allows you to unpack the rest of your stuff without the pressure of, say, trying to find the box that has your hair dryer. For truly valuable or irreplaceable items, keep them with you. Even if you have great and trustworthy movers, you’re going to want to take certain items along with you, or have them shipped separately in fully insured packages with a shipping carrier. Personal mementos, cash, coins, jewelry, precious photographs, and important papers should not be packed into a box and sent along with your clothes and books. Keep them separate. Once your goods arrive, let the movers do the moving. Let the movers do the work, you supervise. Make sure they get everything off the truck, and let them do the unpacking of the boxes while you tell them where everything should go. Many people seem to feel guilty about making these poor movers carry all that heavy stuff, and they want to pitch in. Don’t pitch in. That ‘s not your job, that’s their job, and they’re getting paid for it. What you need to do is your job: supervise to make sure everything comes off the truck and the boxes are put in the correct rooms. Provide your crew with coffee, water, lunch, and a tip. This is not required, but it’s always a good idea to have bottled water and coffee available for the movers when they arrive, and to offer to pick up pizza or a quick lunch while they’re working. It’s better for you to run out and buy them lunch than for them to take an hour off in the middle of the day. And providing water and coffee is just humane for people who will spend hours lugging your things around. If you get good service, and want to tip the crew, the best guideline we can give you is about $10-$25 per person for anyone who was part of the crew for the whole day. As with all services like this, tips are not required but appreciated. Don’t move and close on the same day. Finally, one last piece of advice about moving: don’t move on the day that you close on the sale. A closing can be stressful event that doesn’t happen very often, and moving is a stressful event that doesn’t happen very often. There’s no reason to do them both on the same day. You should plan for your move a day or so before the closing, so you can get one big stressful day behind you before you turn to the next on. It’s almost over. All the hard work you put in to get your home ready for sale, keep up the property appeal while it was on the market, negotiate your offers, review your contract, and all the rest now finally result in the closing. You’ll move out of the property, the buyer will do a final “walk through,”‘ and you’ll go to the closing to sign a lot of documents and walk out with your check. To help you in that process, we will give you some tips on setting up your move and explain what happens in a closing. We hope that our Orientation Guides have helped in some small way to explain and demystify the home selling process. We wish you the best of luck on your sale, and for the future. Thank you again for giving Better Homes and Gardens Rand Realty the opportunity to work with you. •Fill out change of address forms with the Post Office. •Send out “we’ve moved” messages to friends and family by email or mail. •Change your address on social media sites. • Notify your doctors and any pharmacies. •Notify everyone’s job, school, or anyone else who sends important mail. •Notify your credit card companies. •Notify any other service that bills you regularly. 2. Cancellations of home services. •Cancel or move any newspaper delivery. •Cancel your cable or satellite service, and return equipment. •Cancel any other home services that you pay monthly. If you haven’t already hired your real estate attorney, you’ll need to do so once you have an accepted offer. Your attorney will draft your real estate contract, negotiate terms with the buyer attorney, and guide you through to the closing. Now it’s time to hire an attorney and get your contract drafted. In our area, of course, real estate attorneys generally handle the drafting and reviewing of real estate contracts, perhaps because the practice of real estate in New York and New Jersey is particularly complex. Because of that complexity, we strongly recommend that you hire an experienced real estate practitioner familiar with the local customs. Although any licensed attorney is legally competent to assist you in the sale of your home, we have seen time and again attorneys who are not experienced at real estate undermine a seller’s transaction or cost the seller money at the closing table. You may save a little money hiring a friend or family member who is a non-real estate attorney, but it can ultimately cost you. You can get a list of experienced, well-regarded real estate attorneys from your agent. Most real estate contracts are common form contracts that go through small changes in the negotiation between the attorneys. The main material terms – price, down payment, closing date – are all negotiated, of course, but the standard protections given to buyers and sellers in the transaction are fairly common in most real estate contract forms. Thus, you are likely to see your attorney make small changes to a form contact, and then receive what’s called a “rider”from the buyer’s attorney that supplements the main provisions. We defer to the judgment of your attorney on contractual issues. Although we are not representing you as legal counsel, we did want to highlight three common transactional issues that you should understand about your real estate contract. Closing dates in standard real estate contracts are not deadlines, they’re aspirational. If the contract states that the closing is to take place “on or about” September 1, all that means is that the parties are aiming in good faith for a closing on that date. The closing date itself will be set by the attorneys on a mutually convenient date once the title report is generated and the bank has made a mortgage commitment to fund the loan for the buyer. So what happens if one side is ready to close on September 1, and the other side is not? Usually, nothing. If the parties are working in good faith for a closing, usually the attorneys will simply set a new date for the closing, which will also be aspirational. But if, say, you are ready to close and the buyer is not, and you and your attorney suspect the buyer may be acting in bad faith to delay, your attorney can issue a demand for a closing within 30 days. 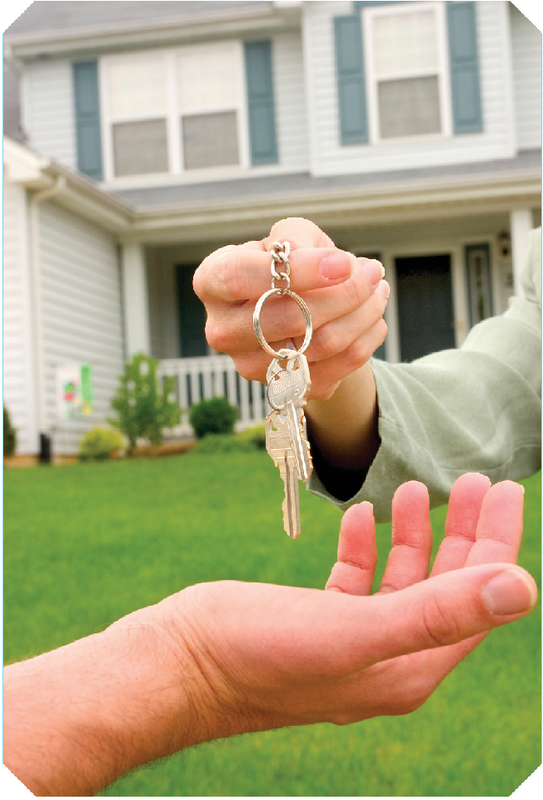 If the buyer does not close within the 30 days, it can give you ground to terminate the contract and keep the deposit. Usually, that’s not necessary. Occasionally, contracts of sale will have what’s called a “time of the essence” provision that requires both sides to be ready to close as of the date in the contract. In that case, failure to be ready to close could render the unprepared party in default. A “time of the essence” clause is very rare in residential transactions, simply because neither party want penalties attached to the obligation to close on a particular date. Sales contracts often have contingencies that can allow one side or the other to void the contract without any repercussions. You may think that the deal is final, but a contingency in the contract, if properly exercised, can undo the deal. The most common contingency, of course, is the mortgage contingency, which buyers getting financing usually demand to protect themselves against the possibility of losing their down payment if they are unable to get financing. In most cases, a mortgage contingency is not an unreasonable request for the buyer to make, but obviously you should check with your attorney. Other relatively common contingencies are “sale” contingencies, in which, for example, the buyer retains the right to terminate the contract without repercussions if the buyer is unable to sell her current home. This has become a little more common in a slower market, because buyers want to be able to protect themselves if they cannot sell their home. 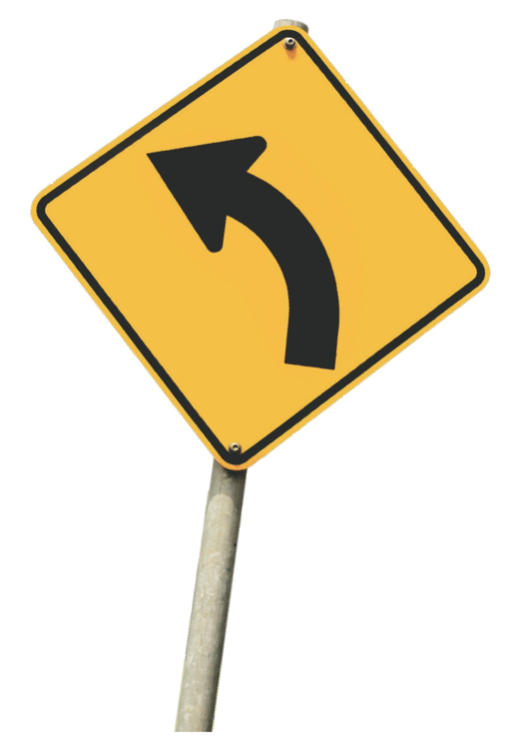 These types of contingencies are rare, because most attorneys disfavor them. Again, this is something you should discuss with your attorney. It is very important that you discuss fixtures with your attorney. Fixtures are pieces of personal property that are attached to your real estate property, such as light fixtures, appliances, window treatments, and the like. Generally speaking, the buyer has the right to acquire all fixtures upon purchase of the property. The buyer doesn’t have the right to your personal property (i.e., your clothes, books, pictures hanging on a wall, etc. ), but she does have the right to anything semi­ permanently attached to the real estate. Accordingly, you should absolutely tell your attorney if there is anything in the house that you intend to remove and take with you when you sell. This issue comes up more than you think, often involving very expensive light fixtures that the seller never intended to include in the deal, but which were not specifically excluded in the sales contract. After you have an accepted offer, your buyer will almost certainly require a home inspection before signing contracts. In other parts of the country, the home inspection takes place after contracts are signed, and the contracts contain a contingency allowing for cancelation if the report finds serious problems. In our area, though, the buyers do inspections before they commit to purchasing the home. If the inspection turns up serious issues, the buyers might simply accept them, ask you to remedy them, ask for a reduction in the price, or actually walk away from the deal. Very few deals actually fall apart from inspections, even though virtually every inspection report identifies at least some problems in the home. 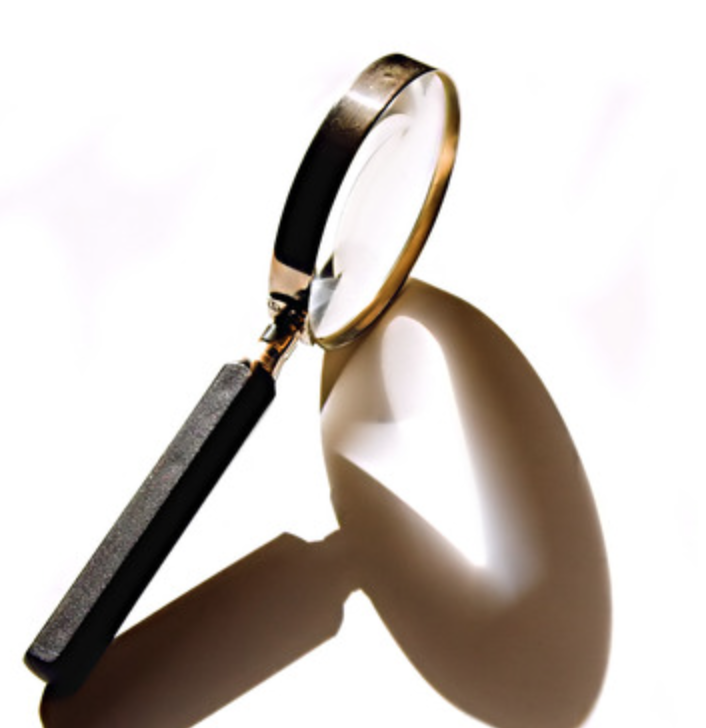 You should be prepared for the fact that the home inspector will find something to write up about your home. That doesn’t mean that there’s anything really wrong, it’s just that the engineers always find something. It’s almost as if they’re afraid that if they don’t find anything, the buyers will suspect that they spent their time at the home sitting back and watching soap operas. So they’re going to issue a report that sounds scary but contains the kind of “defects” found in virtually every home. That said, if the inspection does turn up something serious enough to require remediation, we strongly recommend that you make an adjustment in the price to allow for remediation. We do not recommend you try to address the problem yourself, or even hire someone to do it. We have seen too many cases of buyers and sellers ending up at odds over the buyer’s contention that the seller’s remediation efforts were insufficient, and the sellers end up paying to fix the problem, then taking a reduction in the price at closing anyway or getting sued after closing. You are better off obtaining an estimate on fixing the problem, getting the buyer to agree to the estimate, and working that into the price of the home. The moment you start receiving offers will change the dynamic of your home selling process. No longer will you be forecasting buyer response to your listing, you’ll actually know how buyers are responding. Whether the offer is for full-price, near-price, or a lowball fishing expedition, you should plan ahead with your agent about your negotiating strategies. Contrary to popular belief, negotiation is not about winning and losing. You don’t “win” a negotiation at the expense of the other side. Indeed, a good negotiated resolution always has two winners by definition, because both sides must have gotten what they wanted or they would not have reached an agreement. Now, that doesn’t mean that both sides got everything they wanted, or that either side got all it wanted, but it does mean that both parties found the terms of the agreement acceptable. Remember that when you negotiate. The buyer is not your enemy, but rather a partner in trying to solve the problem of both of you wanting to transact the property on the most favorable terms possible. Buyers want to pay as little as they can, and you want them to pay as much as they can. It’s definitely a problem, and good faith negotiation is the solution. Obviously, a full discussion of the art of negotiating on the sale of a home would be well beyond what we could cover here. At Better Homes and Gardens Rand Realty, we have whole training courses devoted to negotiation, including studies of elements of psychological persuasion that can help your agent and you maintain control of the discussions. We don’t teach “game-playing”, but we do believe that a good negotiator can get the best possible result for a client by maintaining the upper hand, controlling the terms of the negotiation. And as you’ll see below, you should be negotiating through your agent, so you will have good professional representation as you try to make a deal. 1. Keep control of your anchored starting point: your asking price. It’s always an ideal situation when you control the starting point of negotiations on the most important term, which in real estate sales is the initial asking price. In psychology, they call this “anchoring,” because the initial asking price becomes a reference point that can “anchor” the rest of the negotiation. Throughout the process, the buyer will be working off the price you set, which is a very powerful way to control the terms of the negotiation. You and your agent should never let them be dismissive of the asking price, because that’s the buyer’s way of undermining the power of your anchor. 2. Never convey an eagerness to sell. The only way to dissipate the power of your initial price anchor is to convey an anxiety or eagerness to sell to the buyer or buyer agent. That’s why we counsel you to avoid discussing specifics with a buyer or a buyer’s agent, because if you happened to let slip that you were under any pressure to sell you would be undermining the firmness of your commitment to your asking price. Similarly, we always tell agents to avoid using terms like “bring best offer” or “seller is negotiable,” because there’s no benefit in letting buyers know that the seller is anxious. 3. Provide justifications for your price through your agent. Anchors become more powerful if you provide reasonable and objective justification for them. When you set your initial pricing of your listing, we counseled you to pay close attention to what the market was telling you. If you can provide a buyer with reasonably comparable sales that justify the price you’ve set, you can firmly set that pricing anchor by putting the buyer in a position of having to argue away the fact that comparable homes have sold for close to your asking price. 4. Get commitments from buyers. Psychologists have also noted the power of verbal and written commitments during negotiations. 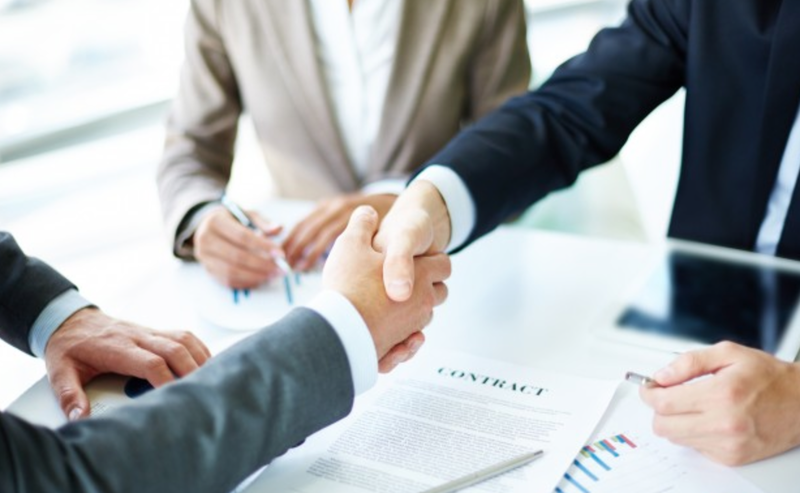 If a seller can get a buyer to make even a verbal commitment to agree to a term of the negotiation, the buyer will feel strongly compelled to abide by that commitment. That’s why most of our agents demand that all offers be made in writing, not because the offers themselves are legally binding, but the act of writing them down (and in some cases signing them) is psychologically binding. 5. Frame the negotiation as about more than just price. In any real estate sales transaction, the most important negotiated term is price. But it’s not necessarily the only term that can be at issue. In some cases, closing date is important. In others, it’s the down payment. And in others, it could be whether the buyer will have a mortgage contingency, or the fixtures or furniture included, or really anything that one side particularly wants. In most negotiations, however, the parties don’t strongly negotiate the other terms, because their sole focus is price. Accordingly, a good way to control the frame of the negotiation is to put all the other terms in play (closing date, down payment, contingencies, fixtures, furniture). If you are flexible on all those terms, but the other side is not, you now have something to bargain away to get a concession on price. 6. Avoid making concessions without getting a reciprocal concession. Ultimately, at some point in the negotiation, you’re likely to have to make a concession. Very few sellers are fortunate enough (or set their initial price accurately enough) to sell their listings for the full asking price. But if you are to make a concession, try to avoid making the concession in a vacuum – condition your concession on the buyer giving on some other point. Generally, if you do someone a favor, that person feels obligated to return the favor, even if their “reciprocation” of the favor is disproportionate to what you did for them. If you’ve been successful in putting multiple terms at play, you can even concede on a minor point in return for flexibility on something you actually care a lot about. 7. Always negotiate through your agent. Negotiating through intermediaries is always a good strategy, if only because it keeps the client from developing or generating ill-will with the other side or betraying anxiety that would undermine the bargaining position. In real estate negotiations, buyers and sellers rarely discuss the terms directly with the other side, instead communicating through their agents. One of the most powerful ways to control the process is to work through an intermediary (like your agent), keeping the ultimate decision­ maker away from the negotiating table. That way, your agent can always use the justification that he or she does not have the authority to make concessions, giving you both time to discuss strategy and avoid giving in under self-imposed pressures. 8. Be likable to buyers. We always counsel clients to be friendly and agreeable with all buyers, including buyers that make what you might think are insulting offers. Throughout your negotiation, you’ll want to maintain good relations with buyers, even if you ultimately cannot reach an agreement. We have seen many potential deals fall apart simply because the parties treat each other badly, insulting each other, ignoring offers, delaying out of spite, and other unhelpful tactics. Buyers want to like the person selling them their new home, so be likable. 9. Be open to all offers. Generally, in real estate, we always welcome offers of any kind because it gets discussions going on a path in which anything can happen. Everyone in the business has seen lowball starting points turn into near- or full-price sales, so never simply dismiss a buyer as a “bottom-feeder” on a fishing expedition. That buyer might be testing the waters, and seeing if you will jump at any kind of offer. And although it might seem superstitious, agents swear by the fact that they can go months without a nibble, then get one offer, and then suddenly get multiple offers. So respond to and respect all offers, even if the response is that the offer is too low to merit a counter. 10. Remember that you don’t have to actually accept the offer. Some clients worry that in the heat of the moment they will make concessions that they will ultimately regret, which is why they don’t like to consider lowball offers. Remember, though, that you don’t make any final legal commitments as part of the negotiation. You’re never fully committed until after inspections, contract drafting, contract review, and a host of other issues that could delay final signing. So you never have to risk getting carried away by anxiety or pressure. Most people are not familiar or comfortable with negotiations, because most of us do it so rarely in our professional or personal lives. Culturally, we don’t negotiate much compared to people in many other areas of the world – for example, we don’t haggle at supermarkets or department stores. So it’s not unusual for sellers to become a little anxious about the prospect of negotiating something as important as a home sale. Don’t worry. You have a lot of professionals watching out for you, starting with your Better Homes and Gardens Rand Realty agent. 1. The parties reach an accepted offer. 2. The buyer completes a home inspection, and has no major issues. 3. Seller’s attorney drafts contracts, and the buyer’s attorney reviews them. 4. The buyer and seller sign contracts. 5. The buyer orders a title and municipal search. 6. The buyer pursues a mortgage loan application. 7. The title report comes back, and determines that the seller’s title is insurable. 8. The buyer gets a mortgage commitment from the lender. 9. The buyer performs a walkthrough of the property. 10. Finally, everyone meets in a conference room, a bunch of documents get signed, the buyer gets a home, and the seller gets a check. That’s most of the time. Sometimes, though, bad things happen that can delay the closing of your transaction for days, weeks, or even months. A severe delay is not common, but it does happen. 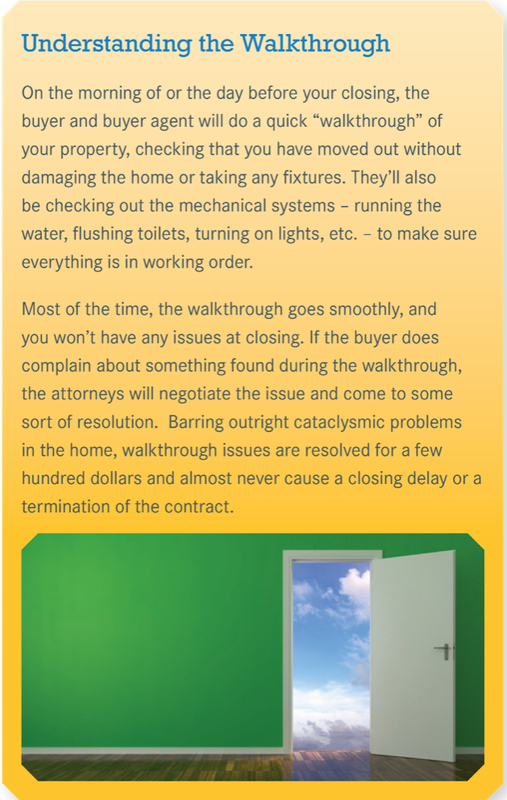 In many cases, delays are unavoidable, and you just have to persevere through whatever difficulties you have to get to a closing. In other cases, though, delays are caused by a lack of preparation and planning ahead, which you really should start doing at the time you start getting reasonable offers. 1. Hire an experienced local real estate attorney as soon as you can. Most people wait until they have an accepted offer to hire an attorney. Unfortunately, that can often delay your getting into contract, even to the point of risking the buyer finding another opportunity and backing out of your deal. Drafting a real estate contract, which is the seller’s attorney’s role, does not take very long, but the simple acts of finding the right attorney, scheduling a meeting, and completing a consultation so that the attorney knows what you need can cause you days or even weeks. Accordingly, we recommend that you hire an experienced real estate attorney as soon as you can. You’re going to have to hire and pay an attorney sometime, you might as well do it while neither of you are in a rush. That way, when you do get your accepted offer and finish inspections, the contract can be in the buyer’s attorney’s office that same day. 2. Insist on buyers getting pre-approved by a reputable lender. Let’s say you get into contract, the title clears, and now you’re just waiting for the borrower to get his loan. Then you find out that the buyer is having trouble, and weeks go by while the loan winds its way through interminable processing and underwriting delays. This could definitely delay your closing. Sometimes, no one could have foreseen the issue. Perhaps rates jumped and now the buyer needs to come up with more of a down payment. Or maybe a credit problem emerged, or someone lost a job. These things happen. But other times, you could have avoided these kinds of delays by being more demanding of information from the buyer at the time you reached an agreement. Maybe these delays are caused because the buyer really was not qualified for the amount of money needed to buy your home, but no one knew that at the time you signed contracts. You could lose months because of this. Accordingly, we counsel you, as we counsel all our agents, to always insist that buyers presenting offers provide a pre-approval letter from a reputable lender. A pre-approval letter is not the same thing as a commitment, and the lender is not doing much more than a superficial review of the buyer’s qualifications to purchase homes at a certain amount. It’s not a guarantee. But it’s definitely better than nothing, and it’s better than a pre-approval from some lender you’ve never heard of who hands pre-approvals out like free samples at Costco. 3. Consider ordering precautionary title and inspection reports. The buyer is usually the party who orders title reports and inspections. The buyer needs a title report in order to obtain title insurance, and most buyers insist on a home inspection to ensure that the property does not have any serious defects. But even though you’re not required to get a title or inspection report, and even though these reports will cost you some out-of-pocket money, the peace of mind you can get, and the delays you can avoid, might be worth it. Getting an early title report means that you will be aware of any problems with your title or your municipal search — such as an unresolved mechanic’s lien or a open building permit — with more than enough time to resolve those issues. And getting an early inspection report means that you can address issues that the buyer was going to find anyway later in the process, at a time when buyers often get cold feet. If you’re interested in getting out ahead of some of the problems that can delay your home selling process, just talk to your agent about hiring an attorney, ensuring pre-approvals, and ordering title and inspection reports. Once you have an accepted offer, your home selling experience will change dramatically from the marketing stage to the transactional stage. Now, you’re no longer concerned with keeping the home in showing condition or staying on top of the market, you’re only focused on getting into contract and ultimately to closing. The hardest part is over, at least for you. All the work you did getting your home ready for sale, evaluating the market, keeping up the showing condition, and dealing with buyers traipsing through your home at all hours of the day – all that’s over. And all the work your agent had to do in locating the right buyer — all that’s over too. You role is mostly reactive now. You’ll need to hire an attorney to draft your contract of sale, if you haven’t already done so, and you and your agent will have to make sure that the rest of the transaction goes smoothly. But the burden in the home selling process actually shifts now to the buyer, who has the heavy lifting of obtaining title insurance, ordering an inspection, and most importantly laboring through the difficult mortgage process. For the most part, you will be sitting on the sidelines for most of that, mostly reacting to issues that the buyer might find on the inspection, the title, or on the contract. This is only fair, after all. Up until you reached an accepted offer, the home selling process was difficult and stressful. You had to do all that work detailing, cleaning, and staging your home, then keeping it that way. You had to watch the market carefully, stress about competing homes that might drop their prices and make you uncompetitive, and hope that none of the new closings would undermine your price . Meanwhile, of course, the buyer was having a grand old time running around the county looking at homes. Looking at homes is “shopping,” and it’s a lot of fun. 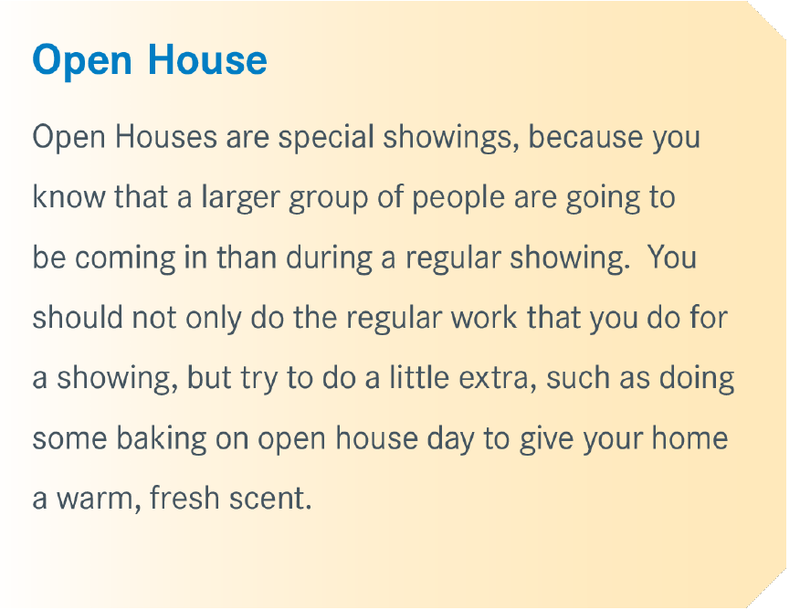 It’s so much fun that people go to look at open houses even if they’re not in the market! But now the worm has turned, and while you’re sitting back letting your house become livable again like a college senior who already has locked a high-paying Wall Street job, your buyer is going through the unenviable task of filling out mortgage applications, chasing down old employers and forms, and stressing about rates going up. So relax and enjoy it. Accordingly, we will focus below on some of the transactional issues that might come up between you and your buyer in getting into contract. Once you’re on the market, you’re going to be interested in the market. You’ll be reading and watching everything in sight. But information about the national market can be misleading, so you want to make sure you focus your attention on your local markets and on interest rates. Few people are as interested in the real estate market as those in the process of buying or selling a home. If you’re actually in the market, you watch the market: you notice every “for sale” sign you pass on the street, you stop and watch every television news report about the market, and you read everything that gets published in the papers. That’s all fine. It makes sense that you’re going to be interested in the market. But we want to caution you not to believe everything you read, not because the media has a bias or is presenting misinformation, but because the media presents the wrong information. Essentially, the media is not a good resource for following the market. Most of the news that gets reported is really “old news” about homes that were sold months ago, in places far away. National home sales, which are what the media generally covers, make no difference to you. It doesn’t matter to a seller in Hudson Valley, Westchester, and Northern New Jersey what the national sales figures are, because real estate is intensely local. Of course, you’re going to read those stories anyway, but don’t let them get you anxious about the market. That said, it is absolutely crucial that you stay on top of your market. Too many sellers, and agents, complete a comparative market analysis when they put the listing on the market, then never keep track of developments in that market. But the market is changing all the time, and you need to be aware of those changes and, if necessary, adjust your pricing and marketing strategies. Even in the short term, movements in the market can affect whether your home is well priced, even if you and your agent did a great job of pricing to the market when you listed it. What can affect the price of your home? •Competing homes that come on the market at significantly higher or lower prices to your listing price. 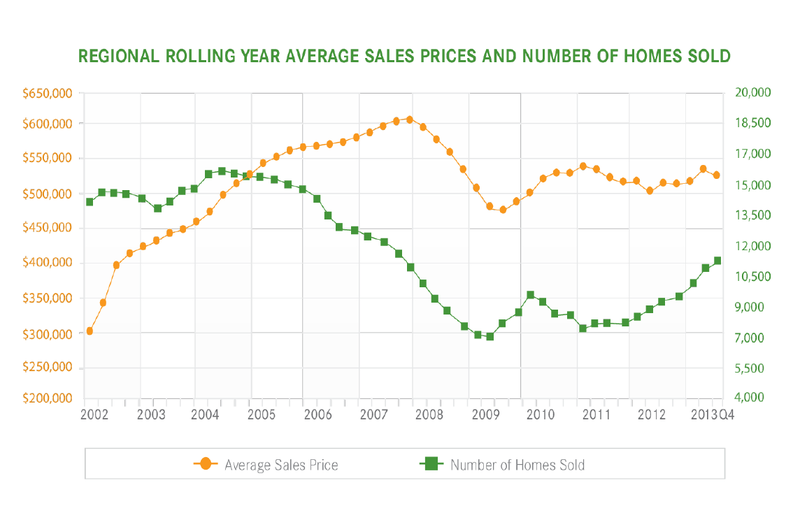 •Comparable homes that close at significantly higher or lower prices. •The strength of the economy, particularly consumer confidence and unemployment. So given that following the market is important, what information should you be tracking? The best resource for you in following the market is the information you’re going to get from your agent. Every Monday, you’re going to get an email called the “Market Action Update” that will detail activity involving new listings that come on the market, price changes, and closings of comparable properties. The update can very broad, pulling in sales from your local area that are not strictly comparable to yours, but that does give you a general sense of the local market, which is what you want to follow. Also, you will get a Quarterly Market Report from your agent that will give you a much more comprehensive view of what is happening in your county and the full region, with written analysis concerning transactions, sales prices, days-on-market, listing discounts, and prices-per-square foot. This is the kind of local analysis that is helpful, as opposed to the national sales figures that are just distracting. We have been putting out the Quarterly Market Report for over eight years, and have data going back almost 10 years, so we have a very good sense of what is happening in our local markets. Nothing will affect your home value more than changes in interest rates. If rates go up, your home becomes attractive to more buyers even at the same price. And if rates go down, your home becomes less affordable to the buyers who might be in your price range. See the chart on this page, which shows the impact of rising interest rates on buyer purchasing power. A buyer who can afford a $2,000 monthly mortgage payment can borrow $372,563 on a 30-year fixed rate loan at 5.0%, but as rates go up in half-point increments, her buying power goes down significantly. Thought it’s difficult to tell you what economic news to follow, the basic idea is that a good economy is good for housing. If consumers are confident, then buyers will be confident and more likely to pull the trigger. So although general economic news is not specifically related to real estate, it does have an impact. Of course, throughout this process, the best resource for information about the market is your Better Homes and Gardens Rand Realty real estate agent. If you read something in the media that concerns you, or have a question about the market, reach out to get an answer. No one knows the local markets better than the agents who work in them. The key to getting your home sold quickly and for the best price is making it available for showings whenever buyers want to see it. It’s one of the most annoying parts about having your home for sale, but it’s important to accommodate buyer schedules. You never know whether the person coming to see it today is going to be “the one.” To help you keep your listing in great showing condition, and almost as a last-minute “checklist” for things that you should do when buyers are on their way, here is a short guide to preparing your home for a showing. •Do a general cleaning of the home: not scrubbing, but wiping. •Check for broken or dim light bulbs. •Remedy any distracting or unpleasant odors. •Put away dirty clothes in a hamper or laundry machine. •Do the dishes or at least have them in the dishwasher. •Put away children’s and pet’s toys. •Remove all things on front and side of refrigerator. •Keep all pets in a contained space, or take them out with you. •Clean up the yard of any toys or debris. •Turn on enough lights to brighten the rooms. •Open curtains and shades to let in outside light. •Keep the home in a temperate zone , with air conditioning or heating if necessary. •Open the shower curtain to expose the shower or tub. •Put out fresh towels in the bathrooms. •Close all television cabinets and put away the remotes. •Set place settings at dining room table. •Put on some ambient music. •Secure all your valuables in a locked or non-obvious hiding place. •Put away any breakable heirlooms that cannot be replaced. •Put your mail away in a drawer. •Put any important papers on your desk away in drawers.